Aluminum Flywheels are generally half the weight of stock steel flywheels. Aluminum Flywheels provide faster revving, less drag on the engine, and quicker response then heavier Steel Flywheels. Steel Flywheels tend to be a little easier to drive on the street due to the fact they lose less RPMS will shifting. Aluminum Flywheels also feature a replaceable steel friciton plate. 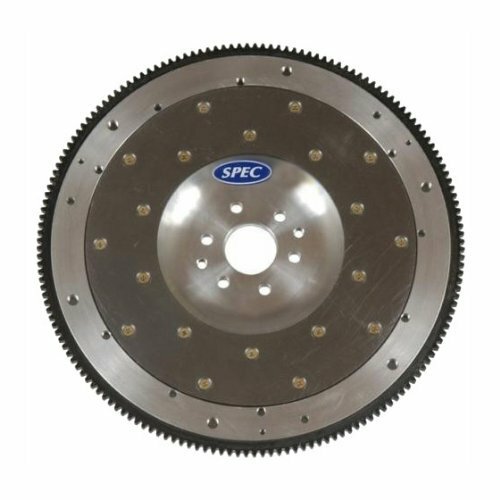 SPEC is a Manufacturer of street high performance and racing clutches and flywheels. Featuring Clutch Kits From street kit Stage 1,2,2+, 3, and 3+ to Race Kits Stage 4 and 5. And now the SPEC Super Twin with TQ ratings of over 1500 FT TQ ! Every SPEC Clutch Kit and Flywheel has been SFI Approved. Note: Includes build dates Jan 2012 to 2015 coupes Please check your build date before ordering.